I was born into a poor family of many children, and my parents struggled desperately to survive economically. I am a first-hand witness of extreme poverty, suffering, job loss and a high unemployment rate happening in the environment where I used to live. If you are reading this and you think you are currently suffering, you probably did not suffer as much as I did. Throughout my teenage years, I engaged in hard and exhausting manual labour to support myself and help my parents. This is one reason why I was fortunate enough to get an education. In spite of this, I was able to perform well at school because I developed an intense love for reading when I was eight years old. I liked to read anything I could lay my hands on. This has helped me gain lots of knowledge in many fields such as electronics, computers, history, literature, etc. When I was a young adult, the future looked bleak indeed! In spite of my knowledge, I was thinking of taking a loan to get a used car for commercial driving. However, I decided to teach at private schools for a time, for paltry pay, which managed to keep me alive. In 2007, my uncle called me and advised me to learn Forex trading, because it was very popular in my country at that time. I found someone to train me, but sadly, it was a poor training, and I suffered in the market for the next few years. No matter what I did I was losing money, until I got to a point where I began to think of doing something else with my life. I went to a friend’s house and I saw an old copy of TRADERS’ magazine on his table. I begged him to lend me the magazine. I went home to read it and I was enthralled by what Dr. Van. K. Tharp, who was interviewed in the magazine, said about successful traders. There I was! So there are successful traders! What are their secrets? What do they do differently and how might I benefit from their thoughts, trading styles and principles? www.tallinex.com.ng wants you to make money from the markets. There is a bullish signal on the EUR/JPY. Last week, price moved upwards by 210 pips, from the low of January 23. Price has closed above the demand zone at 123.00, and it may now target the supply zones at 123.50, 124.00 and 124.50. 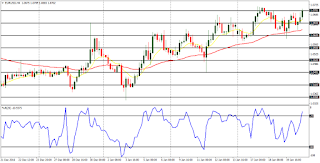 EUR/USD: The EUR/USD is in a bullish mode, but price merely consolidated throughout last week, not being able to stay above the resistance line at 1.0750. For the current bullish outlook to continue to make sense, price would need to go above the resistance line at 1.0750, and also reach another resistance line at 1.0800; otherwise a serious pullback may be experienced. 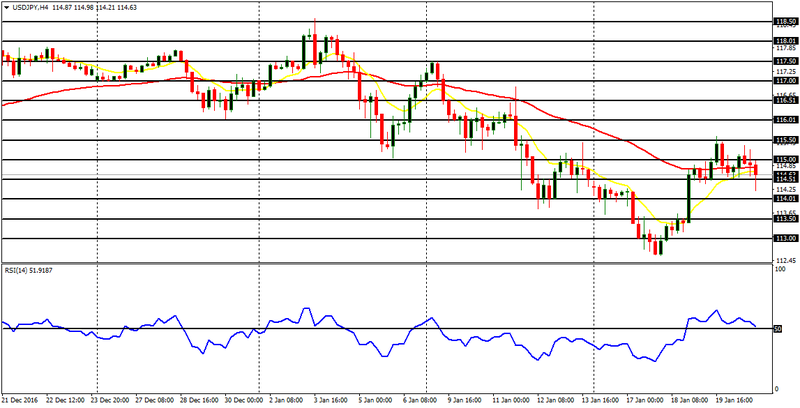 USD/CHF: The USD/CHF only went flat throughout last week, in the context of a downtrend. The market has, interestingly oscillated around the psychological level at 1.0000. Should the market stay around that level for the next several trading days, the bias on the market would turn neutral. For a directional bias to form, the market would need to move further away from that level. A strong movement to the south would emphasize the recent weakness in the market, while a strong movement to the north would result in a new bullish outlook. GBP/USD: Since the beginning of last week, the GBP/USD has moved upwards by 660 pips. The market topped at the distribution territory at 1.2650, and then retraced a bit. The retracement continued until the market closed on Friday. The bias is still bullish and as long as price does not go below the accumulation territory at 1.2300, the bullish outlook would be valid. 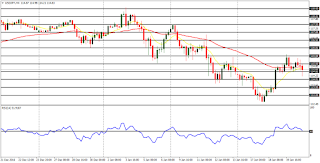 USD/JPY: This currency trading instrument went downwards on Monday, and then began to trend upwards from Tuesday (till the end of the week). This has made price action to generate a “buy” signal in the short-term, which may continue to be valid as price goes further north. This is something that can lead to a Bullish Confirmation Pattern in the market. 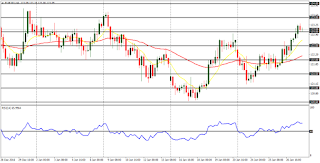 EUR/JPY: There is a bullish signal on the EUR/JPY. Last week, price moved upwards by 210 pips, from the low of January 23. Price has closed above the demand zone at 123.00, and it may now target the supply zones at 123.50, 124.00 and 124.50. This pair went flat from Monday to Wednesday, not being able to stay above the resistance line at 1.0750. Price then declined a bit, in the context of an uptrend. Price has been going upward gradually since the beginning of this year, and this has led to a bullish bias, which would, however, be challenged in February. The downtrend may even start this week, as EUR is expected to become weak versus other currencies (except JPY) in February. USDCHF went sideways throughout last week – slightly below the resistance level at 1.0000. Price may temporarily go above that resistance level, but it would later journey further south. Apart from the sideways movement that was seen last week, price has been coming down gradually since the beginning of this year, and this has led to a bearish bias on the market. The bearish bias should continue in the month of February, owing to expected stamina in CHF. A bearish journey in EURUSD may help bring about some transitory rallies on USDCHF, but the overall movement would be bearish in February. Cable rallied 280 pips last week, topping at the distribution territory of 1.2650, before the shallow retracement that started on Thursday. Since the low of January 16, price has moved upwards by 650 pips, but the bullish bias that has resulted from that may end soon, as a result of a bearish outlook on the Cable (and some other GBP pairs) in the month of February. 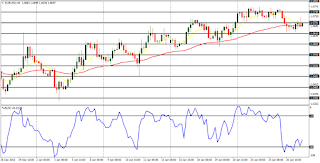 While, price could test the distribution territories at 1.2700, 1.2750 and 1.2800, it might not be able to go very far, as chances of serious bearish movements are very high in February. This trading instrument has been coming down gradually since early January, and that has led to a Bearish Confirmation Pattern in the market. On Thursday, price began to rise and later on Friday, it closed above the demand level at 115.00. Further movement may take price towards the supply levels at 116.00, 116.50 and 117.00; and that may end up invalidating the recent bearish bias. Generally, the outlook on USDJPY for February is bullish. This cross pair is bullish in the short-term and neutral in the medium-term. 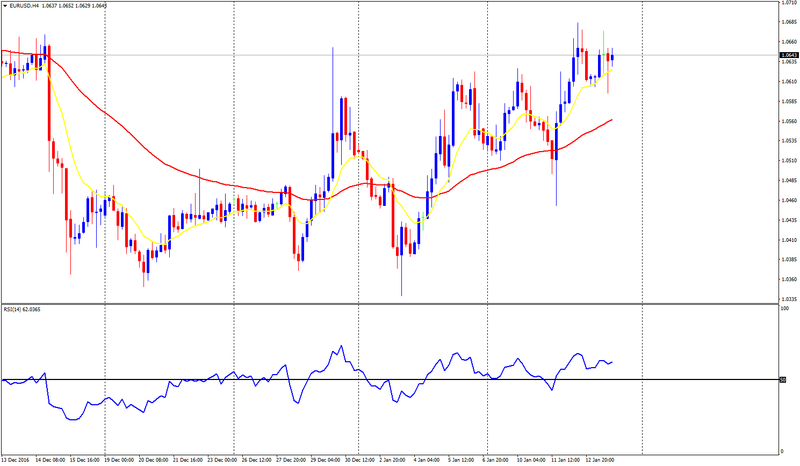 Price managed to journey northward last week, creating a short-term bullish signal. In February, the only factor that would help this cross further upwards is the expected weakness in Yen (which would also help most other JPY pairs to rally). In February, an overall movement of at least, 500 pips, is expected in favor of bulls. Nonetheless, there may be some serious but shallow pullbacks along the way. Gulf Keystone shares (LSE:GKP) have formed a strong base. The outlook is bearish in the long-term and neutral in the short-term. The current base started in September 2016, and it has held out till now. The position of the ADX period 14, its DM+ and DM-, points to a trendless market. The position of the MACD (default parameters), with the signal lines and histogram, also points to a trendless market. This means that Gulf Keystone is not a good market to speculate on right now. However, a strong breakout (a rise in momentum) is expected and that would be strong or violent, putting an abrupt end to the current bearish outlook/neutrality. It cannot be mentioned exactly when this would happen in 2017, but the bearish trend seems to have gone too far and it is currently being rejected at the base. It seems the market would not go further south. The more the flat movement holds out, the more imminent a strong breakout is… a momentum that would most probably be in favor of bulls. This would create a wonderful trading opportunity for buyers and the expected strong rally would put smile on their faces. Facebook stock (NASDAQ:FB) is in an uptrend. The market rallied last year, till the end of October, and pulled back. The uptrend has resumed since the beginning of this year and it is very strong. Price is currently above the EMA 21, while the Williams’ % Ranger period 20 is in the overbought region. The market seems to have gone far, but… while there may be temporary pullbacks along the way, the uptrend is expected to continue. The outlook on Facebook is bullish for the year 2017, and price could end up reaching the supply levels at 140.00, 150.00 and 160.00. What is the most unfair punishment you have ever received? My parents grounded me once for a volcano erupting a couple of hundred miles away. And the house was still shaking. They thought I was jumping on the bed. And then when I insisted I wasn’t they thought I was lying. Of course, we never watched TV in the daytime, so it wasn’t until evening that we saw the news and found out the morning’s shaking was Mt. St. Helens erupting. Fortunately they let me off the hook after that. 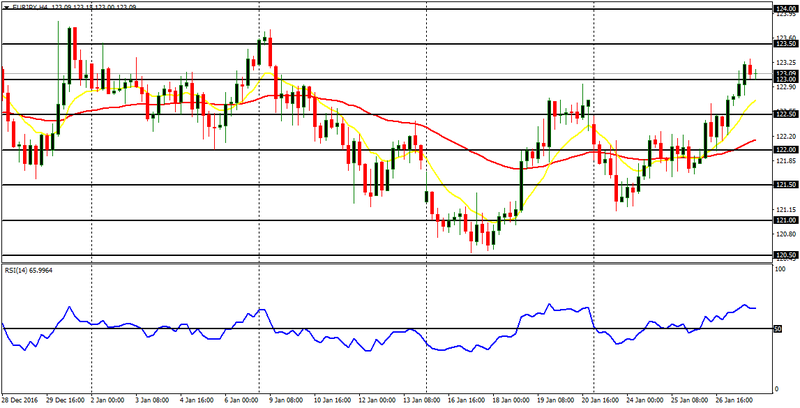 The EUR/USD was able to maintain its bullishness last week. There is a Bullish Confirmation Pattern in the 4-hour chart, and price is currently testing the resistance line at 1.0700. The resistance line would be broken to the upside this week as price targets another resistance lines at 1.0750 and 1.0800. EUR/JPY: There is a “buy” signal in this market. Price has gone upwards - mainly because the EUR is strong. Since movements of JPY pairs would be determined by whatever happens to other currencies, this market would continue to go upwards as long as EUR is strong. The Supply zones at 123.00, 123.50 and 124.00 could be reached. EURUSD moved upwards by about 100 pips last week, now testing the resistance line at 1.0700. The upwards movement last week was not strong, but it was noticeable enough to show that the recent bullishness in the market remains a valid thing. This week, the resistance lines at 1.0750, 1.0800 and 1.0850, may be attained, as long as EUR continues to be stronger than USD in the near-term. USDCHF went down lower and lower last week, continuing the bearish journey that started early this month. The great psychological level at 1.0000 was tested again and again, but price could not breach it to the downside (staying below it). Price has repeatedly bounced off the psychological level, but as the bias is bearish, upwards bounces would only provide good short-selling opportunities. As long as EURUSD goes up, USDCHF would go down, and the psychological level at 1.0000 would end up being breached. GBPUSD began the last week on a bearish note (other GBP pairs gapped down and then started trending upwards). 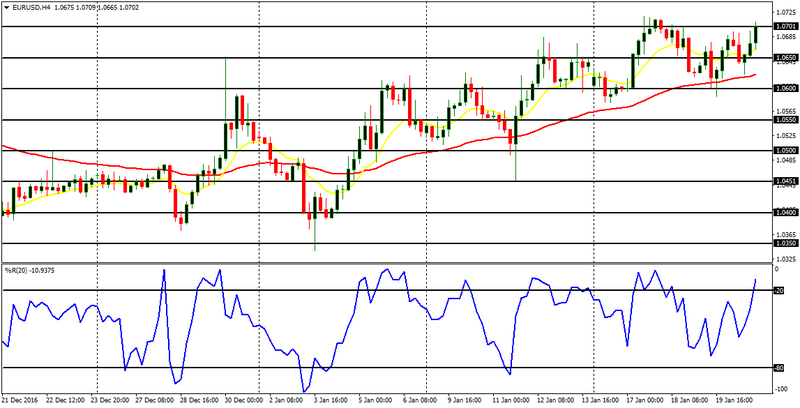 Price moved up by more than 410 pips, reaching the distribution territory at 1.2400. 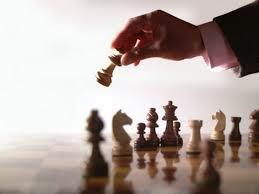 However, the strong rally was not enough to overturn the recent bearish outlook on the market. For the bearish outlook to be overturned, price would need to go upwards by at least, another 300 pips this week; otherwise, the rally that happened can eventually turn out to be a temporary rally that later confirms bears’ supremacy. This pair went downwards on Monday and Tuesday and then started to go upwards from Wednesday to Friday. There is still a Bearish Confirmation Pattern in the 4-hour chart. Unless price is able to stay above the supply level at 117.00 - which would require a serious rally - the bearish outlook would remain logical. There are demand levels at 114.00, 113.50 and 113.00, which may be tested again, in case price comes down. This cross pair briefly ended its sideways movement when it assumed a southward journey on January 9. Price attempted to go further downwards last week, but further downwards movement was rejected before it reached the demand zone at 120.50. And since price has gone upwards on January 18 and 19, it has been forced back into a neutral region. This week, a serious northwards movement would bring about a “buy” signal; while a southward movement would simply bring back the recent “sell” signal in the market. 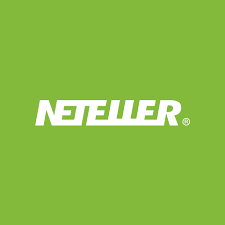 Why Did NETELLER Reject My Documents? Why were my ID documents rejected? NETELLER requests members to send in documents for a variety of reasons, including account verification, bank registration, etc. Sometimes the submitted documents get rejected as they do not meet our requirements. There may be many different reasons for documents rejection, but they all come down to whether or not the document can conclusively prove the information we require. The document(s) you sent did not show all four corners. Your document(s) was blurry or illegible. To correct this, please make sure that your scan or photo of the document is high-resolution and clear. We could not open the type of file you sent, or the type of file was unacceptable. To correct this, please re-save your document image in a supported file type. We prefer .JPG, .JPEG, .BMP, .GIF or PDF files. Your documents were fine, but you sent them from an e-mail address different from the one registered in your NETELLER account. Your identity verification document was expired. You did not upload both sides of the verification document. Your address verification document did not have a date of issue on it, or the date of issue was more than 90 days before your document was reviewed. Your address verification document did not show the same name and address that is registered on your NETELLER Account. Your address verification document appeared to be an online statement which cannot be accepted due to security concerns. Your address verification document appeared to be a phone bill which cannot be accepted as a form of address verification document. The USD/JPY is now in a bearish mode. Price moved downwards significantly last week, reaching the demand level at 114.00. Although there is an upwards bounce in the market, the demand level would be tested again, very soon. The market is expected to continue going downwards this week. 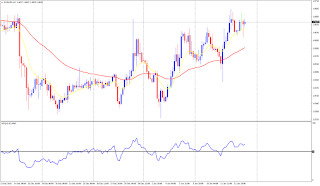 EUR/USD: The EUR/USD went upwards seriously last week, resulting in a Bullish Confirmation Pattern in the market. Price topped at 1.0684, and it could still go further than that. Although the market is quite choppy, further upwards movement is anticipated and the resistance lines at 0.0700, 0.0750 and 0.0800 would be tested this week. 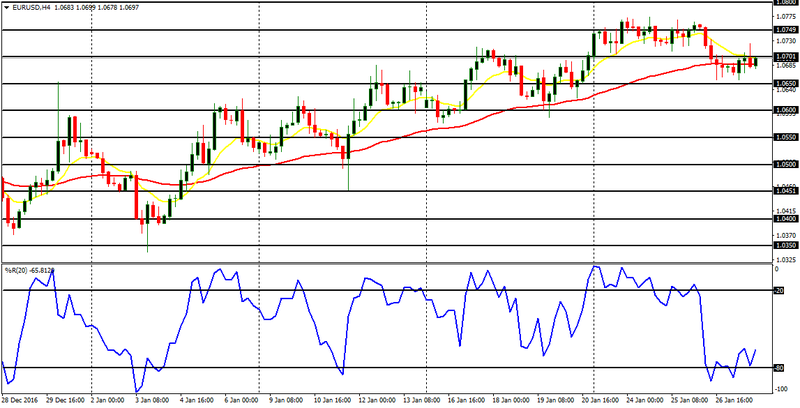 USD/CHF: The USD/CHF went downwards seriously last week, resulting in a Bearish Confirmation Pattern in the market. Price hit the low of 1.0042, and it could still go further than that. Although the market is quite choppy, further downwards movement is anticipated and the support level 1.0000 could tested this week. It could also be breached to the downside, but that would require a massive selling pressure. GBP/USD: This pair attempted to make some bullish movement last week – an effort that was rejected at the distribution territory at 1.2300. This shows that rallies in this market should be approached with caution and would be better taken as opportunities to sell short at better prices. The reason is because the major outlook on the market remains bearish. USD/JPY: The USD/JPY is now in a bearish mode. Price moved downwards significantly last week, reaching the demand level at 114.00. Although there is an upwards bounce in the market, the demand level would be tested again, very soon. The market is expected to continue going downwards this week. EUR/JPY: The EUR/JPY is now in a clear bearish trend. Price has gone down by 230 pips last week, and the upwards bounce that is currently happening is shallow. Further bearish movement is anticipated, which may take price towards the demand zones at 121.00, 120.50 and 120.00. This pair sent upwards last week, generating a bullish signal. Price closed above the resistance line at 1.0600 on Friday, so there is a possibility that it may go further upwards this week reaching the resistance lines at 1.0650, 1.0700 and 1.0750 this week. It should be noted that the market is quite choppy (though bullish), which may cause some temporary downswings to form as further bullish attempts are made. A bearish signal has formed on USDCHF, which usually goes in the opposite direction to EURUSD. 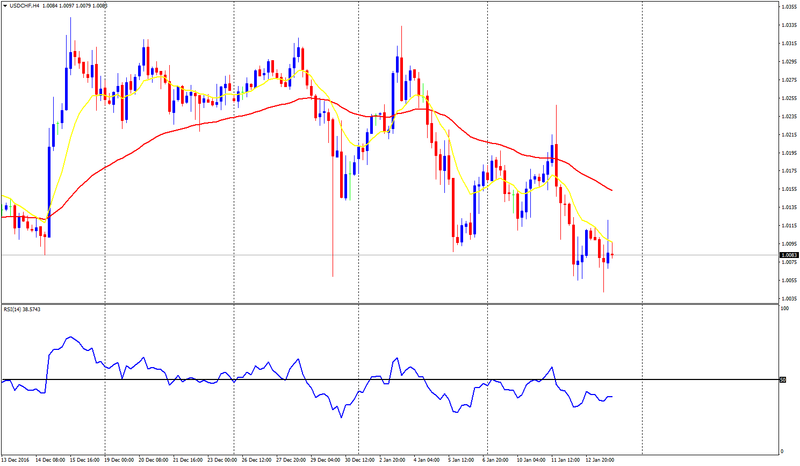 From a weekly high of 1.0247, price has gone down 200 pips before undergoing the current shallow correction. In spite of the weakness in this market, price is yet to breach the psychology level at 1.0000 to the downside, and that is what might be achieved this week, as the bearish journey continues. A breach of the level 1.0000 would make long trades completely illogical. GBPUSD went sideways in the beginning of last week, made bullish effort in the middle of the week, to move sideways again at the end of the trading week. The outlook on the market is essentially bearish and what happened last week has shown that rallies in the market would always be temporary and they should be taken as opportunities to go short. The distribution territories at 1.2150, 1.2100 and 1.2050 might be breached this week. This trading instrument went downwards by 350 pips last week – a condition that has brought about a clear Bearish Confirmation Pattern on it. Price is expected to keep on making bearish effort this week, targeting the demand levels at 114.00, 113.50 and 113.00. It is possible that some rally attempts would be witnessed this week, but they should not invalidate the current Bearish Confirmation Pattern unless price goes above the supply level at 118.00, which is not currently likely. 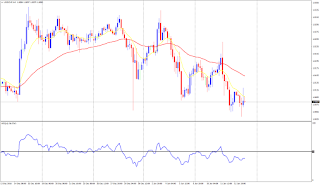 EURJPY, which had been neutral for some weeks, tried to go seriously downwards last week. When compared to USDJPY, the bearish movement on EURJPY is not very strong, but a bearish bias is already in place. A movement above the supply zone at 123.00 would return the market into a neutral region. while a movement below the demand zone at 121.00 would put a greater emphasis on the currently nascent bearish bias.